Two notable Americans faced firestorms of criticism last week: A governor whose medical school yearbook page showed a racist image and a billionaire whose infidelity was exposed by a tabloid. The politician — Virginia governor Ralph Northam — handled the PR crisis in the worst way possible by deflecting and denying, which led to calls for his resignation. 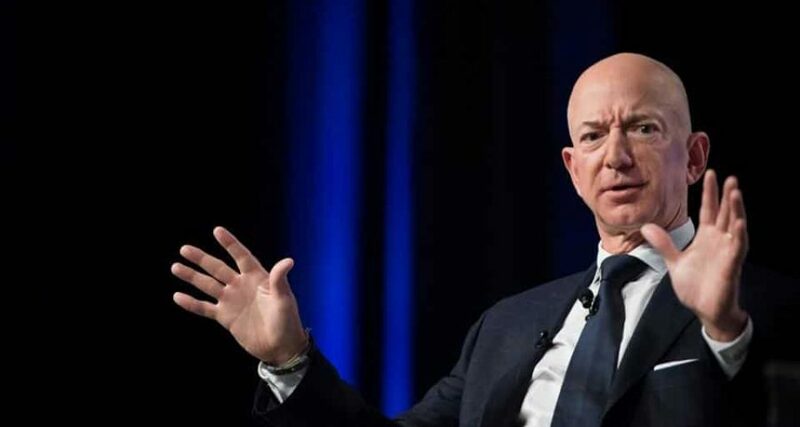 The reclusive billionaire, Amazon CEO Jeff Bezos, turned crisis into opportunity by disclosing embarrassing information and positioning himself as a superhero, telling everyone that he was standing up to a bully on their behalf. One thing we can learn from all of this is to come clean when things go wrong. It doesn’t matter whether you are a CEO, government official, or school teacher: The best way out of a business or personal crisis is to admit you made a mistake. We are humans, and no one expects us to be perfect. Even though you may get some criticism or negative press, it won’t be anything like the alternative. As well, you will build a level of trust that pays long-term dividends. When Seer filed for its IPO in 1995, the North Carolina press was eager to cover us because we were a rare local success. But, rather than establish relationships, our management team decided to take the advice of our investment bankers and refused all interviews. We even refused a cover story for a national technology magazine — after the editor had travelled to interview us. As a result, after the IPO, the only news that the local business journal reported was about our salaries, which it suggested were excessive. And when the company got into trouble, it made front-page news. The coverage was negative all the way. Just after we had completed a round of venture financing, my president and chief operating officer received an offer to join the hottest company in the region. I expected that we would get slammed by the press for losing a senior executive and that there would be rumours and questions about our viability. I decided to call up local journalists and brief them in advance about the press release. I explained that this was a big loss, but that we would survive. Instead of questioning the viability of the company, the coverage focused on how Relativity had become a recruiting ground for hot companies — how much in demand our people were. The Wall Street Journal ran a front page article on how loyalty meant nothing in the tech industry. It focused on what a difficult decision it was for an executive to leave such a successful company, because our stock could be worth millions. More recently, I made the mistake of tangling with some people on Twitter who disagreed with my efforts to highlight the sexist ways of Silicon Valley’s companies and investors. I was accused of “taking the oxygen out of the room”; my intentions were painted in the worst light; and there were unfair and untrue accusations made against me. In the heat of the argument, I reacted in anger at my critics — but I realised afterwards that I had stepped out of line. I chose to admit my mistake and move on from the debate. It isn’t that I care less for the cause or am doing any less for women entrepreneurs; rather, I realised that it is sometimes better to step aside and move the cause forward in other ways.